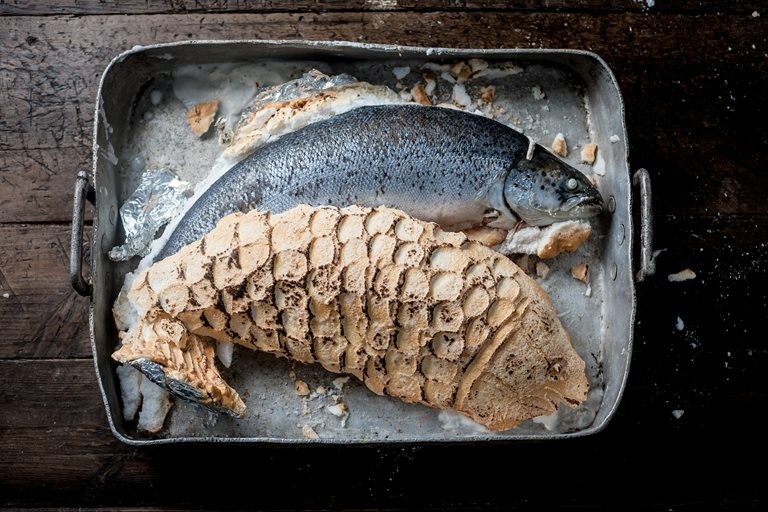 Baking a whole salmon in a salt crust is a fantastic way to keep the fish moist, as it effectively steams inside the crust as it cooks. Although it may seem like a huge amount of salt, it effectively seasons the fish but hardens to a crust so is easily removed. 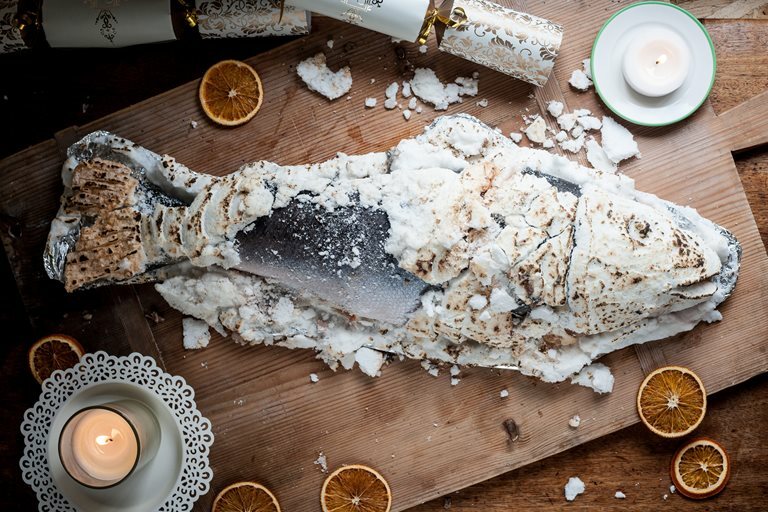 Galton Blackiston suggests making this salt-baked salmon recipe a centrepiece, which can be cracked open in front of your guests.